What's the Secret Behind the Best Winter Braises? Wine! Ralph and Kim Hersom, the South Shore couple behind “Corks & Forks,” a series of food and wine pairing classes, reveal their secrets for making delicious braised meats, with red wine suggestions for both the pot and the glass. On a wintry night, there are few dishes more comforting than saucy braised beef or a steaming bowl of stew. Whether it’s a humble pot roast or boeuf Bourguignon, the idea is the same: you’re harnessing moist heat, flavorful liquids, and a few idle hours to transform a humble cut into something rich and hearty. If you’re looking for a fresh approach to these one-pot wonders — and are curious about what wines to add to the mix — we know just the couple to turn to for advice. 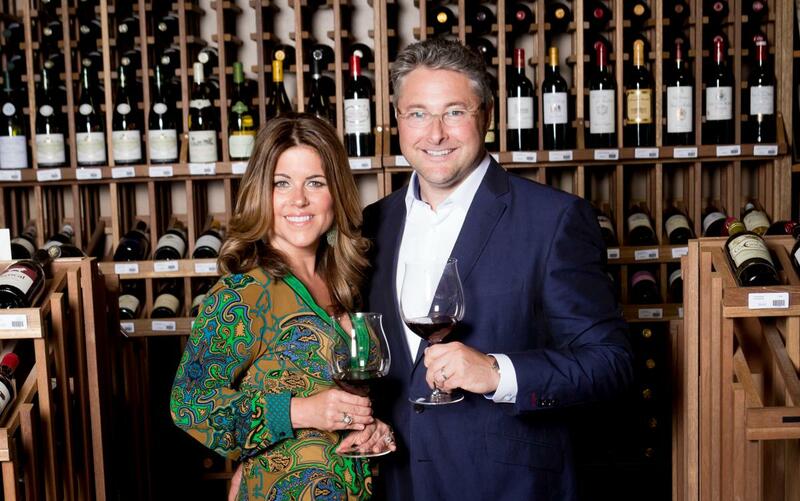 Ralph and Kim Hersom are the husband-and-wife team behind RRH Cellars, the consulting arm of Ralph’s Wines & Spirits, a wine shop in Hingham. If Ralph Hersom’s name rings a bell, you might know him from his previous life as wine director for Manhattan’s Le Cirque, and cellarmaster for Windows on the World in the former World Trade Center. Kim Hersom, a member of the U.S. Personal Chef Association, has spent more than 20 years ensuring deliciousness for her discriminating clients. Since 2010, the couple has conducted “Corks & Forks,” a series of food and wine pairing classes that they kicked off at their former location on Derby Street. Today, they continue the series in a demonstration kitchen housed in their current shop, and at in-home parties and tastings. This duo knows their daube — and every other dish where meat and wine come together for an extended simmer. “Braising should be the least intimidating method of cooking,” says Kim. “It can make any home cook a hero.” The technique makes use of tougher, value cuts of meat whose sinewy, connective tissues soften into a rich, unctuous texture when cooked low and slow, submerged in braising liquid in the oven. She likes how this style of cooking requires minimal active prep time, relying on the oven to do most of the work. When you add wine to the pot, the chef says, it imparts flavors that are “brighter” and “more in depth” than broth. Notes of “fruit and earth” remain after the alcohol evaporates off. Her somm husband agrees. “Wine adds more dimension,” he says, adding that he thinks alcohol breaks down the fibers of the meat more quickly than water or stock. “The alcohol dissipates,” he is quick to add, so there’s no need to worry about guests getting tipsy from the main course. The couple offers a few simple guidelines. “The rule of thumb is to cook with a wine that is at least palatable to sip,” Ralph says. “And it should not be ‘cooking wine,’” adds Kim, referring to a concoction like cooking sherry that is full of chemicals and additives. Both are adamant about using real wine, the kind you would actually want to pour into your glass. Another winning strategy is to use wine from roughly the same locale as the dish. For the French classic coq au vin, notes the sommelier, your best bet would be to simmer the poultry in red Burgundy. Recently, the duo conducted a class on Bordeaux wines for twenty clients of a local financial firm. Kim served her beef daube Provencal, made with a value red (a 2014 Chateau Palene Bordeaux, around $14) and paired the dish with two pours for sipping: a mid-priced Bordeaux Superieur (a 2010 Saint-Jacques de Siran, around $20) crafted from merlot, cabernet franc, and a touch of cabernet sauvignon; and a higher-priced blend whose primary grape is cabernet sauvignon (a 2008 Duluc de Branaire-Ducru, around $40) from a classified Left Bank chateau. “The class was evenly split on both of these with the daube Provencal,” Ralph reports. Participants loved the elegance of the Duluc de Branaire-Ducru, and also liked the earthiness of the Saint-Jacques de Siran. No one had a quarrel with the modestly priced Chateau Palene, which lent depth and richness to the stew. Kim calls this approach to stewing a “tasty science,” where wine does the heavy lifting. She never gets tired of watching people’s eyes light up when they discover how the right wine enhances a saucy braise. “It’s all gravy,” she says. For cooking: Chateau Palene Bordeaux 2014, around $14, is available at Ralph’s Wines & Spirits, Hingham, 781.749.9463. For sipping: Saint-Jacques de Siran Grand Vin de Bordeaux 2010, around $20, at Ralph’s Wines & Spirits, and The Spirited Gourmet, Belmont, 617.489.9463; Duluc de Branaire-Ducru 2008, around $40, at Marty’s Fine Wines, Newton, 617.332.1230. For more information about Corks & Forks and other services of RRH Cellars, contact Ralph Hersom at 917.881.4471 or ralph@rrhcellars.com. Sign-up for Craving Boston's weekly newsletter and get new stories delivered to your inbox! What Is Coffee Milk And Why Is Rhode Island Obsessed With It?